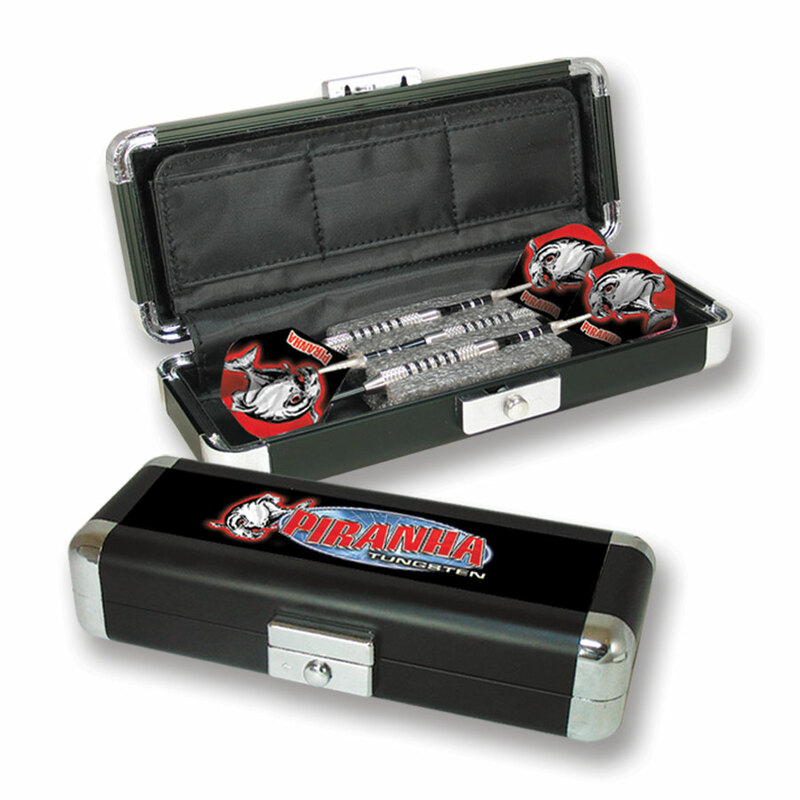 The Piranha has long been considered the benchmark by which most tungsten darts are measured. Unsurpassed in quality, balance, and design the Piranha is one of the most consistent performing darts on the market. Made of 90 % tungsten and combined with our #1 selling shaft, the Top Spin, Dart World has created a dart with fewer deflections and increased scoring. The new long, tapered points used by most pro players are made in the U.S. and designed exclusively for Dart World. This high-tech point allows for easy penetration without causing damage to the sisal of the dartboard.